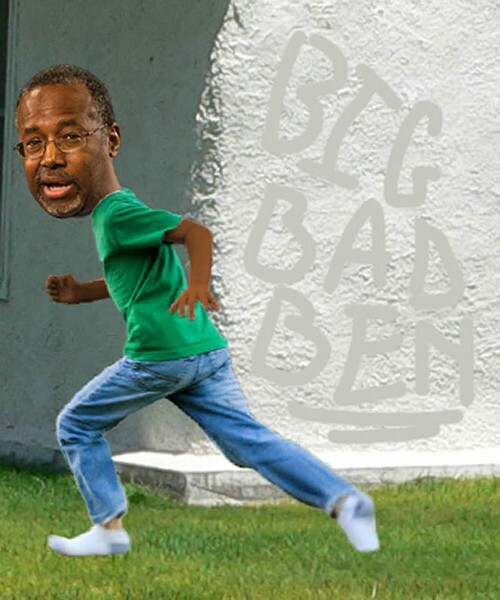 Nine more youthful indiscretions from the childhood of Dr. Ben Carson. 9. Told classmates he got "shot" three times, but it was just for measles, mumps and rubella. 8. Tried to ignite a riot using hairspray and damp matches. 7. Thought he'd been initiated into a gang, but it turned out he only got mugged. 6. Always turned his homework in on time but refused to write his name on it. 5. Tells people he skipped class, but he actually skipped to class. 4. Used a scrubber on a nonstick pan. 2. Tagged buildings, carefully choosing paint to match or complement the existing wall color. 1. Spent a lot of his life being disappointed that the buildings never tagged back.